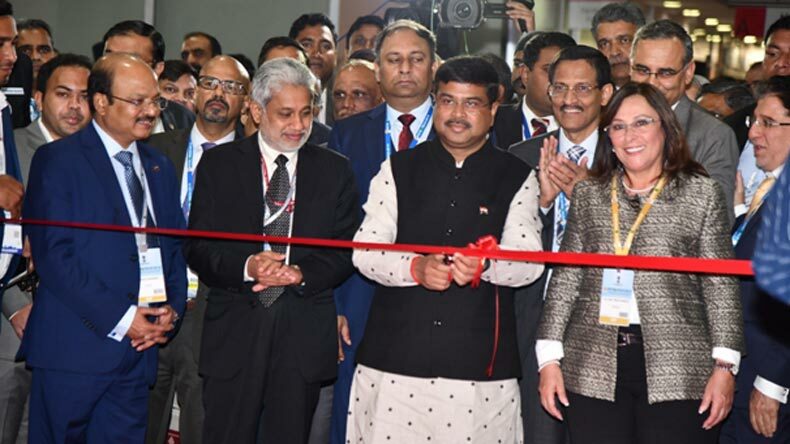 Calling for continuous cooperation and collaboration with other countries to help maintain a stable oil and gas market globally, Dharmendra Pradhan said that India has had long-standing trade relations with major oil and gas producers in the world. This relation, until recently, was only a buyer-seller relationship. Under the guidance of Prime Minister Modi, we have been able to convert our traditional buyer-seller engagements into strategic partnerships through bilateral investments. 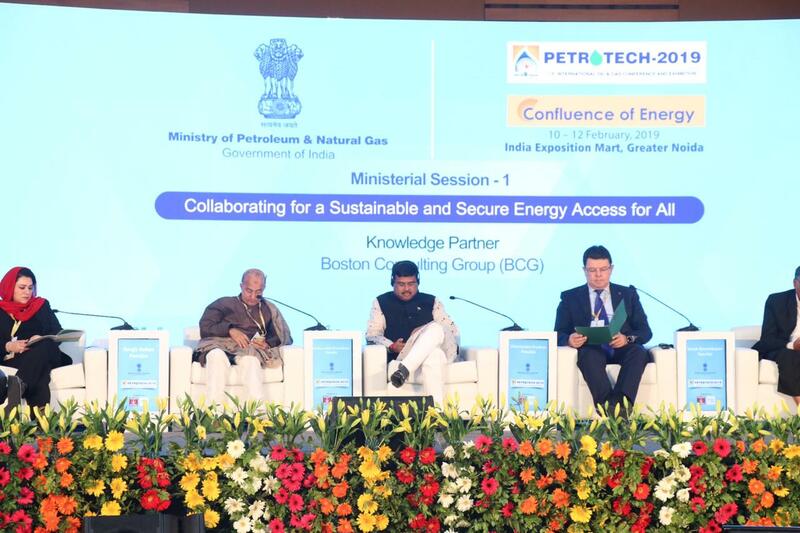 Union Petroleum and Natural Gas & Skill Development and Entrepreneurship Minister Dharmendra Pradhan has called for expanding the supply and availability of energy in a safe and environmentally responsible and sustainable manner. 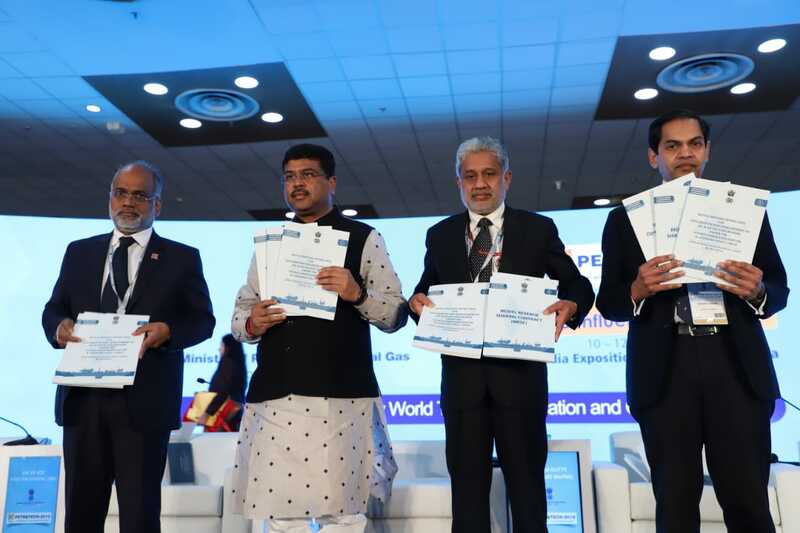 In the welcome session of the PETROTECH-2019, the 13th edition of India’s flagship hydrocarbon conference, on Sunday at India Expo Mart, Greater Noida, he said that energy is integral to support the fast-growing Indian economy and the government is working to deliver energy justice to the poorest of the poor by adopting the four pillars visualized by Prime Minister Narendra Modi that is energy access, energy efficiency, energy sustainability and energy security as guiding principles. 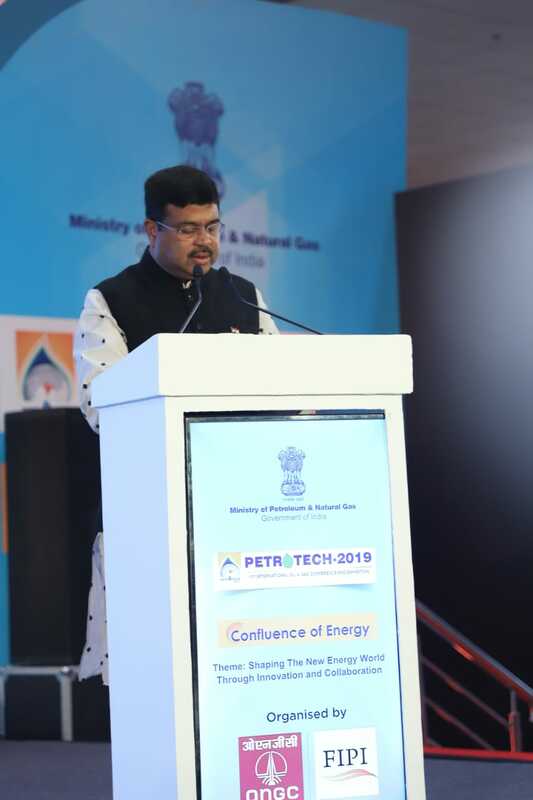 Welcoming the ministers from abroad and other delegates, Pradhan said that in the next three days, the recent changes that have taken place in the Indian hydrocarbon sector and how these are impacted by the prevailing global oil and gas dynamics, will be presented. 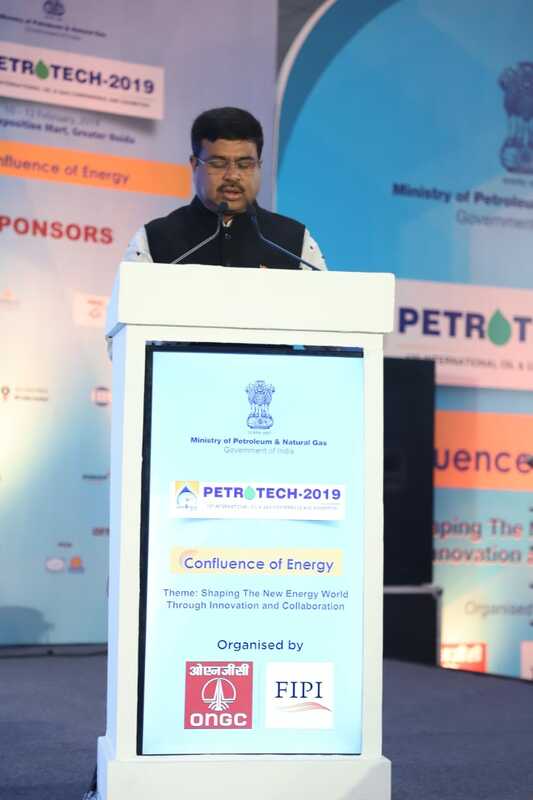 He said PETROTECH will also serve as a platform to discuss solutions to the challenges that are faced not only in India but also in other countries, in delivering affordable, efficient, clean and assured energy supplies to all the citizens. The theme of this conference was – Shaping the new energy world through innovation and collaboration’. The Union Minister said that today India is the fastest growing economy in the world. The robust growth of India has been achieved through a series of policy reforms focused on improving India’s long-term economic and social prospects. With a clear focus on investment-friendly reforms initiatives and removal of policy bottlenecks, India has made a remarkable jump in World Bank’s ease of doing business ranking from 142 in 2014 to 77th position in 2018. Talking about the dramatic shift in energy sources and consumption in the world, Pradhan pointed out that prominent global trends shaping up in this regard – big shift in energy consumption from Europe to Asia, United States becoming the world’s largest oil and gas producer after the shale revolution, solar energy emerging as a competitive and most sustainable energy alternative, share of natural gas in the global energy mix rising, convergence of cheaper renewable energy technologies, digital applications and the rising role of electricity forming the basis for achieving many of the world’s sustainable development goals, and Countries coming together to tackle climate change, including through global collaboration such as International Solar Alliance. The senior BJP leader said that there is going to be a significant increase in the energy demand over the next 20 years and oil and gas are likely to remain prominent fuels in the global energy basket. However, given the increasing emission and CO2 levels globally, it is also important that we take care of challenges arising out of global warming. This calls for expanding the supply and availability of energy in a safe and environmentally responsible and sustainable manner. Pradhan said Oil & Gas sector is a key contributor to India’s economy and accounted for almost 55% of our energy mix in 2017. India is the third largest consumer of crude oil and petroleum products globally, accounting for 4.5 per cent of world oil consumption. He said that several measures have been taken to overhaul the hydrocarbon policy framework to ensure energy security for the country while pursuing the green path to progress. India’s upstream sector is an important focus area in this respect. Several transformational policy reforms have been taken to revitalize the E&P ecosystem and establish a conducive business environment which would facilitate investments and boost domestic production. In this regard, he mentioned about the success of HELP, DSF policy, and OALP. He also talked about other policy reforms including marketing and pricing freedom for natural gas produced from deep and ultra-deep waters and high pressure high temperature areas, coal bed methane, incentive for enhanced recovery for augmenting production of oil and gas from matured fields, exploration and exploitation of unconventional hydrocarbon from all fields. He said state-of-the-art National Data Repository has been set up to facilitate potential investors to take informed decisions based on the geo-scientific data of hydrocarbon resources in the country. Talking about the international cooperation in the sector, Dharmendra Pradhan said that today, Indian Oil and Gas companies are present in 28 countries with investments worth approximately 38 billion US dollars. During last 3 years, Indian companies have acquired strategic stakes in overseas assets in UAE, Oman, Israel and Russia. In downstream sector too, India has been able to attract global investments. Leading players like Saudi Aramco, ADNOC, Total and Shell are expanding their footprints in India’s energy space and looking to invest more in the Indian oil and gas market. Fuel retailing in India is also witnessing increased private sector participation. The minister said that in addition to the general development of the hydrocarbon industry, we have also focused on improving the ease of living of the common people by enhancing access to clean cooking fuel which we have called the Blue Flame Revolution. We introduced UJJWALA scheme, under which we targeted to provide LPG connections to 80 million households, out of which 64 million households have already been provided the LPG connections within a short span of three years. Pradhan said that we have been working to make India a gas based economy. We have over 16,000 km long gas pipeline network and additionally another 14,000 km gas pipelines are under different stage of construction. We have embarked upon the ambitious projects such as 3200 KM long Pradhan Mantri Urja Ganga Project and 1600 KM long Indradhanush Gas Grid to connect eastern and north-eastern parts of India with the National Gas Grid, The LNG infrastructure in the country is also being expanded rapidly. New LNG terminals are under construction on both the east and west coasts of the country. He said that clean-fuel based transportation has been given a major impetus. India is shifting directly from BS-IV to BS-VI standards for fuel from April 2020. The supply of BS VI quality fuel has already begun in national capital of Delhi from April 2018. Ethanol Blended Petrol Program is being implemented and National Biofuel Policy to promote alternate fuels has been introduced. The expansion of city gas distribution has been expedited in the country with 86 new geographical areas granted authorization in 2018 and bids for another 50 new areas are under evaluation for authorization. In the next few years, we expect 70% of India’s population and 53 % of the country’s area shall get covered with city gas distribution networks. LNG is being promoted as a transport fuel for long-haul trucking along expressways, industrial corridors and inside mining areas. Very soon, we will have LNG refuelling along some of our national highways.